Vigotovlennya of farms perekrittya metalevy. Plant-virobnik vigotovlya є that to the mont є metalokonstrukts і ї for the bud_vnitstv ангаð³в,склаä³в,зерносховищ,овочесховищ,виробничих that pobutovy prim_shchen. 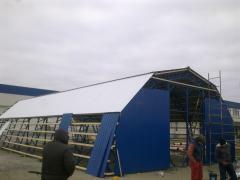 Construction of canopies, warehouses for finished goods. 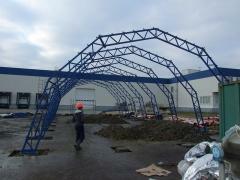 Production of the metalokarkas, construction of the arch hangar 10*24 "turnkey". 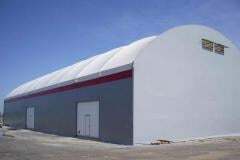 The Stalbudmontazh construction production company offers services in construction of storage, administrative and household facilities, hangars, malls, the logistic centers, agricultural complexes, granaries, rooms for car services, canopies for gas station and other BMZ. 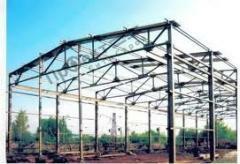 Construction of hangars, warehouses, industrial premises from metal designs, any sizes, at the request of the customer. Stroitelsvo of the arch hangar, for storage of finished goods. 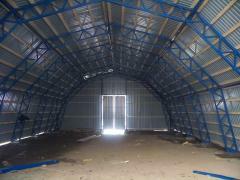 Cold, it is sheathed by the galvanized professional flooring. 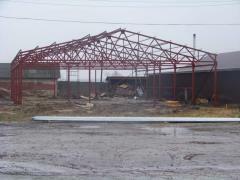 Production and construction of "turnkey" arch hangars. 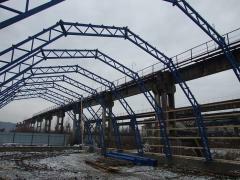 Construction of the hangar of 360 sq.m. 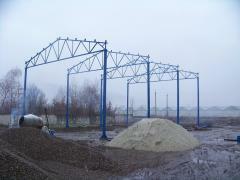 Construction of hangars of any sizes, at the request of the customer. 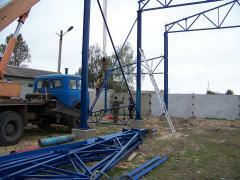 Production of the metal framework, installation of the metalokarkas, installation of the roof and facade. Delivery of all materials to the building site. 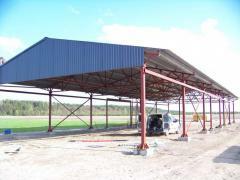 Construction of hangar of 440 sq.m. 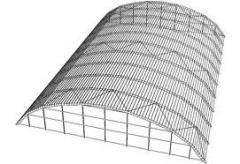 The Stalbudmontazh Stritelno-production company offers services in construction warehouse, administrative acc«mmodation spaces, hangars, malls, the logistic centers, agricultural complexes, granaries, rooms for car services, canopies for gas station and other BMZ. 0976808747. 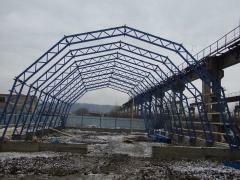 Construction of the storage facility 250m.kv., cold. Construction складских,офисных,сельськохозяйственных,производственных rooms from metal designs, any "turnkey" sizes, without intermediaries. 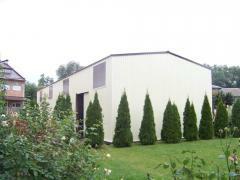 Unbelievable price on Warehouses in Kalush (Ukraine) company StalBudMontazh, OOO. Wide choice of quality products at affordable prices.